When I began painting, all my paintings were of words which were gutteral utterances like Smash, Boss, Eat. Those words were like flowers in a vase; I just happened to paint words like someone else paints flowers. It wasn't until later that I was interested in combinations of words and making thoughts, sentences, and things like that. Image size: 15½ x 19¾"; paper size: 21¼ x 24¾". Edition 30. Color soft ground etching; from Los Francisco San Angeles, a portfolio of seven etchings. Image size: 4 x 5½"; paper size: 8¼ x 9½. Edition 45. “When I began painting, all my paintings were of words which were guttural utterances like Smash, Boss, Eat,” Ruscha has said. “Those words were like flowers in a vase; I just happened to paint words like someone else paints flowers. It wasn’t until later that I was interested in combinations of words and making thoughts, sentences, and things like that.” Ruscha’s word works stand on their own as compelling intersections between art and poetry. Intersections are important for Ruscha in more ways than one. His paintings, drawings, photographs, and prints of intersections and other Southern California cityscapes (gas stations and freeways, signs and logos, palm trees and swimming pools) have fundamentally changed American landscape art. At Crown Point Press in 2001, he made a portfolio of prints called Los Francisco San Angeles. Each of the seven etchings in the portfolio shows street intersections from San Francisco and Los Angeles juxtaposed one over the other. In 2003, he came back to do a larger version of the small portfolio. “The power of Ruscha’s style is at its most emblematic in these three large soft ground etchings,” Kathan Brown wrote in that exhibition’s Overview. “Their ease and simple clarity belies the odd way they have of bringing us back again and again to ponder them and smile.” In this project, Ruscha’s California landscape is beyond city borders. These prints are like inside jokes: his words are often simple, elements of the California culture’s shared vocabulary, like street names, clichés, or snippets of conversation, but in an unfamiliar context where they stand on their own, they communicate in what Brown calls “jargon-free, matter-of-fact, but enigmatic thinking.” His distinctive language continues to present strange new possibilities for meaning. 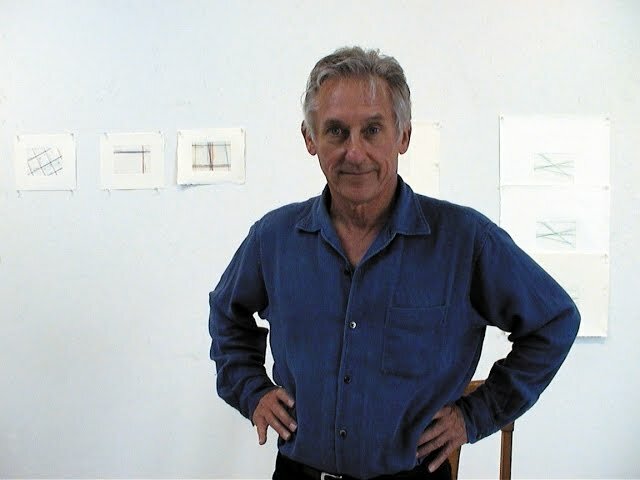 Ed Ruscha is represented by Gagosian Gallery. He has had numerous retrospective exhibitions: at the San Francisco Museum of Modern Art (1983), the Centre Georges Pompidou in Paris (1989), the Hirshorn Museum in Los Angeles (2000), and the Museo Nacional Centro de Arte Reina Sofia in Madrid (2002). In 2016, a major thematic exhibition of his work, titled Ed Ruscha and the Great American West, was presented at the de Young Museum, San Francisco. Crown Point Press concurrently exhibited Made in San Francisco, Ed Ruscha Etchings: 1984-2014, a survey exhibition of the thirty-nine etchings made by the artist at the Crown Point studio. In 2006, a solo exhibition of Ruscha’s photographs opened at the Jeu de Paume in Paris and traveled to Kunsthaus, Zurich and Museum Ludwig, Cologne. His work is in the collections of major museums internationally. His public commissions include murals at the Miami-Dade Public Library in Miami, Florida, the Museum of Contemporary art, San Diego, and the Denver Central Library in Colorado. He was the United States representative at the 51st Venice Biennale in 2005. This video was made on the occasion of the exhibition, Made in San Francisco: Ed Ruscha Etchings 1982-2014 at Crown Point Press, 2016. 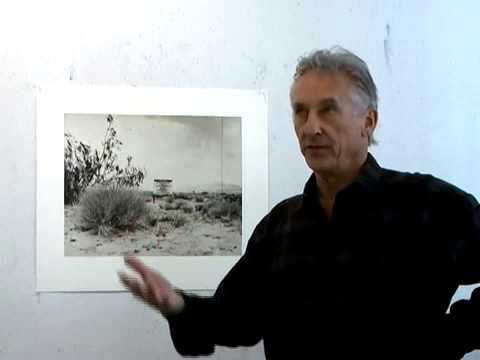 Artist Ed Ruscha describes the process of creating prints at Crown Point Press in San Francisco, 2008.